Brand Bangkok work from the workshop. 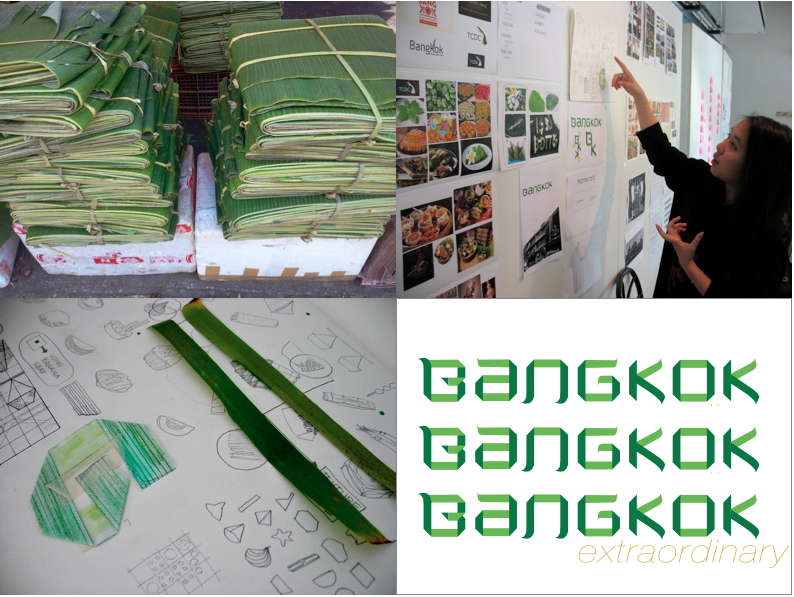 A contemporary typeface based on organic banana leaf packaging, BKK using actualised Thai patterns and Bangkok the city where everyone fits in. These three excellent branding projects for Bangkok are by Nut & New (Everyone can be Bangkok), Babe & Som (BKK patterns) and Clio & Mickey (Bamboo BKK). Congratulations to all the students who participated in the workshop for some fascinating work.